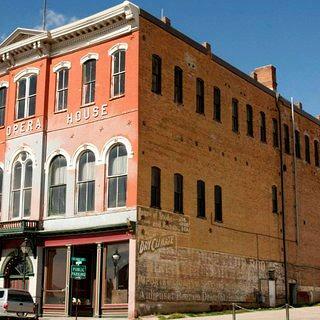 Known as “the most perfect place for amusement between Chicago and San Francisco,” this unique and historic opera house is poised to once again become a vibrant community asset in a transitioning mining town nestled amongst Colorado’s highest peaks. Built in 1879 in a mere 100 days by mining tycoon Horace Tabor, the opera house stage has been graced by entertainers such as Oscar Wilde, Harry Houdini, and Judy Collins. It is also a beloved local icon that has hosted generations of community events. 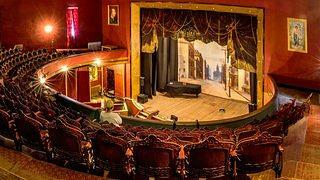 The 25,000 square foot Italianate opera house features a 650-seat theater and anchors Leadville’s main street, once one of the major centers of mining activity in the West. 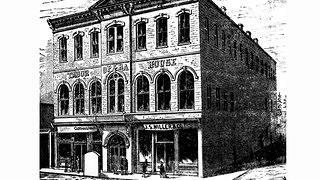 Tabor lost his fortune, including the opera house, following the 1893 Silver Crash. The building was sold to and extensively remodeled by the Elks in 1901 and saved from demolition in 1955. It has been privately owned since then by one family and operated as a seasonal entertainment venue. Harry Houdini’s trap door is still located at center stage. The opera house has been minimally and seasonally operated for decades and suffers from deferred maintenance due to lack of resources. A full rehabilitation is estimated to cost up to $10 million, a hefty lift in a small mountain town of 2,600 people. The future of the building is uncertain as the National Trust and partners work to transition its ownership structure. 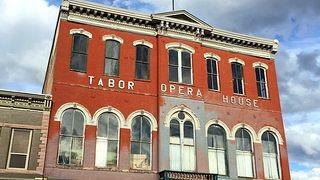 Our goal for the Tabor Opera House is to find a sustainable future that honors its history and character, and contributes to the economic vitality of Leadville’s landmarked main street. 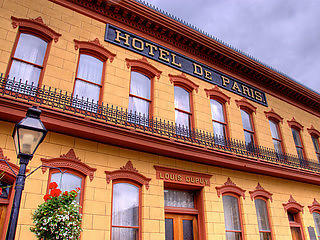 The National Trust is leveraging the city of Leadville’s resources by helping secure funds for their purchase of the property, undertaking project planning studies to determine the most viable uses for the entertainment venue, and identifying financing opportunities to take on the significant rehabilitation of the building. 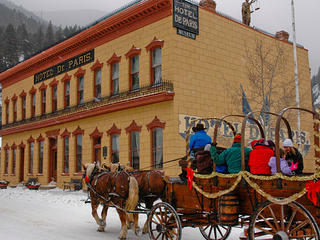 Transition ownership of the opera house to the city of Leadville. Identify a sustainable use(s) of the opera house as an entertainment venue and community asset. Develop thoughtful and thorough planning documents to guide a successful building rehabilitation and adaptive use. 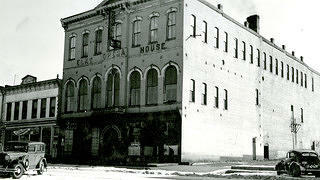 Find a sustainable future for the Tabor Opera House that will reap community benefits for generations to come. 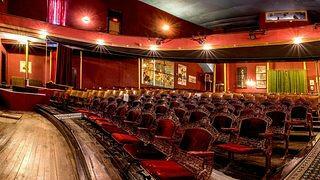 Tabor Opera House National Treasure Saved!